A couple of days ago, I reached 1 M I L L I O N hits on this website! Wow! I almost can’t put it into words, but I’m going to try for this post celebrating 1 million hits. And I’ve got a very, very special giveaway prize for you and a friend, to say thank you. 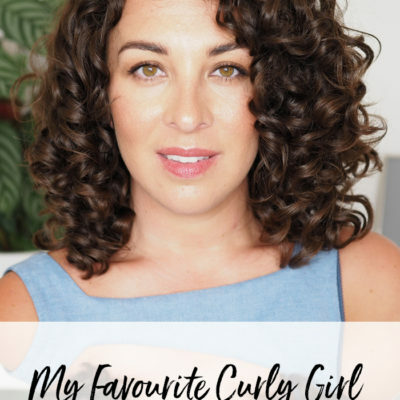 Along some of my favourite photos from throughout my curly girl journey, and creating content for this blog. This is so crazy, so insane. I feel so blessed! I get so many messages, DM’s and emails from you on a daily basis, asking me for my tips and advice, thanking me for my help along your curly journey. Telling me you almost gave up before you read one of my articles, or I’ve saved your hair, or helped you feel confident to go out the house and embrace your natural hair. I often reply back saying thank you, I’m so glad my content has helped you. 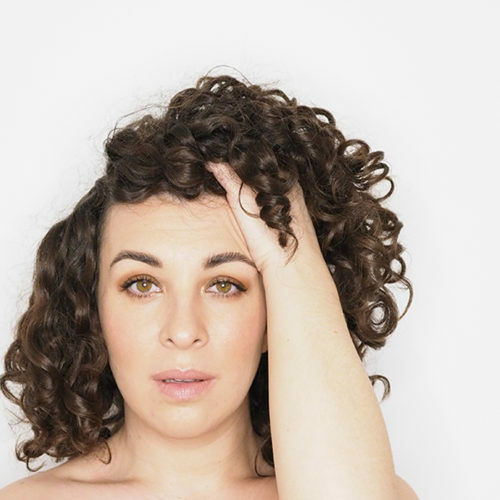 When I say that I’m honoured to be a part of your curly girl (or boy) journey, I truly and sincerely mean it, with a grateful, and thankful heart. When I started my curly girl journey in May 2017, I joined lots of amazing Facebook Groups. As I started replying to questions in the comments, I was repeatedly told I had a way of explaining things that was really easy to understand. So that these techniques and processes in this method, seemed less daunting, less overwhelming, and actually achievable. People felt inspired. And in turn, that inspired me. That I could evoke that kind of self-confidence, achievement and inspiration in others. A few people suggested I should start a blog to write all my helpful knowledge, tips, tricks and techniques down. I already had a blog. An award-winning wedding and beauty blog. So I started posting about my curly girl journey there. Much to my surprise, those posts exploded! It got to a point where my CG method hair content was doing five times better than all my other content. It seemed silly to direct all these people to a wedding blog, asking them to like and subscribe when all they wanted was curly hair content. So in February 2018, Curly Cailín was born. Cailín means “girl” in Irish, pronounced like “Coleen“. I’m an Irish Italian girl, living in Ireland. 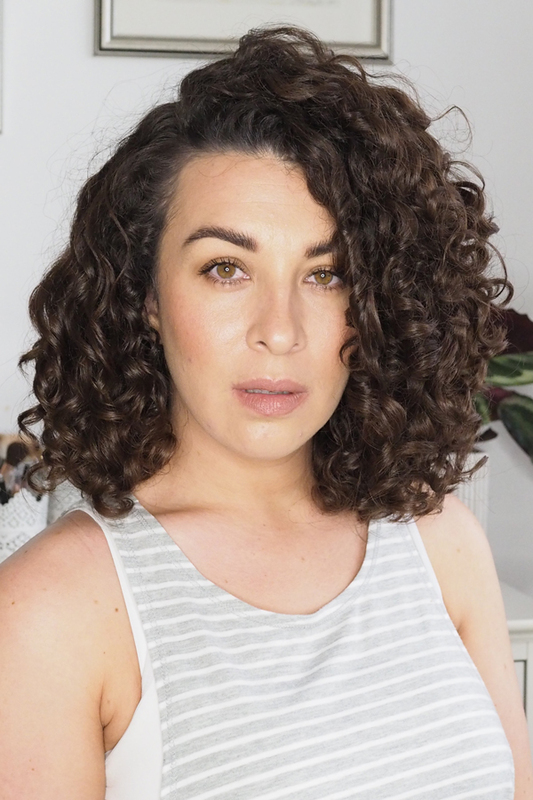 I saw a huge gap in the market for someone like me, a blogger dedicated to following the curly girl method, outside of America. 1 M I L L I O N hits later, it has been such an incredible, amazing journey! I’ve made some wonderful friends, and I’m proud to be part of such a supportive (mostly, lets be honest and keep it real) community of incredible, inspiring women. 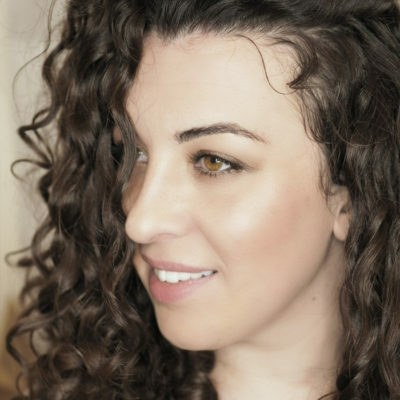 I’ve tried to educate and share my knowledge and what I’ve learned, both from following the curly girl method, and five years in the blogging industry! Since starting Curly Cailín, I now make and sell my own thermal heat caps – which you can buy here. 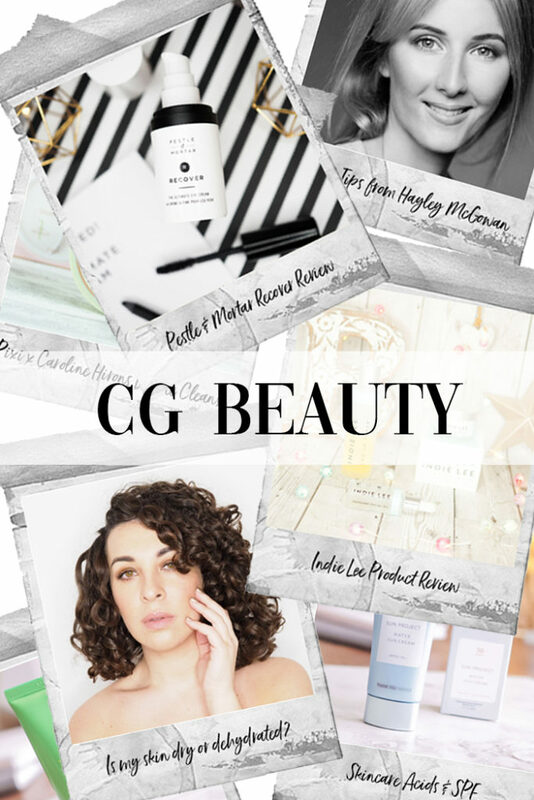 In 2019, I introduced CG Beauty: Clean. Green. Beauty. This incredible journey in just over a year, has combined all my loves, skills and passions. From curly hair, motherhood, mental health, textiles, design, making, sewing, writing, photography, modelling. But most of all, what I love most and gives me the greatest satisfaction, is teaching, helping and inspiring others. In recent weeks, as I saw my stats climbing. Reaching closer to 1 million hits. I knew I wanted to do something special to say thank you. Something more than just a regular giveaway. When I reached out to a few curl-friends, and my followers on Instagram. What people wanted most, was my time, my advice. So here’s what I’m going to do for this very special thank you, and giveaway. 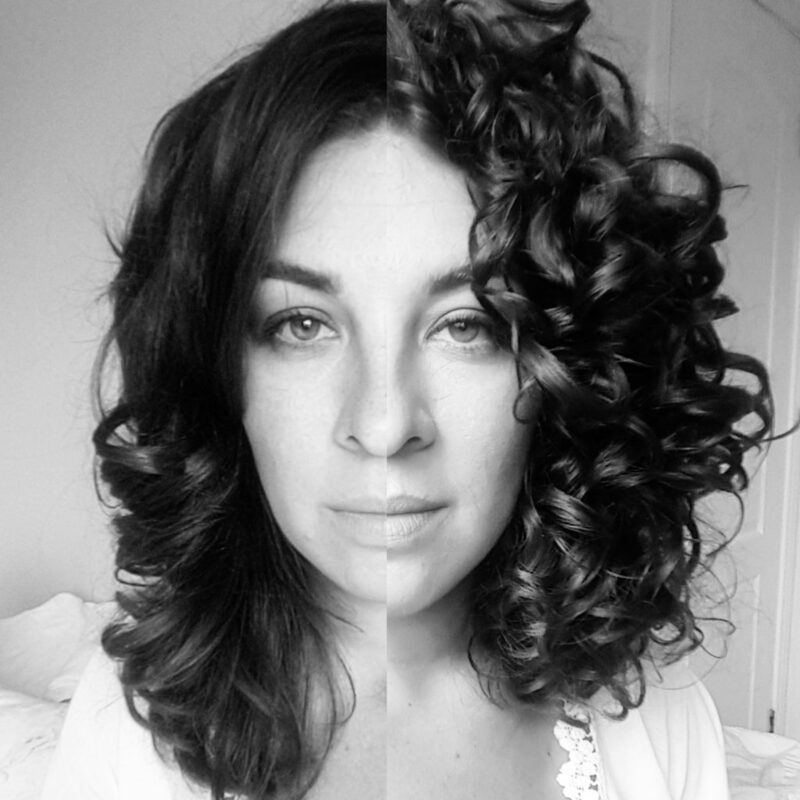 You and a friend will each get a 30-45 minute one to one curl chat and consultation with me, via Skype or Facetime etc. 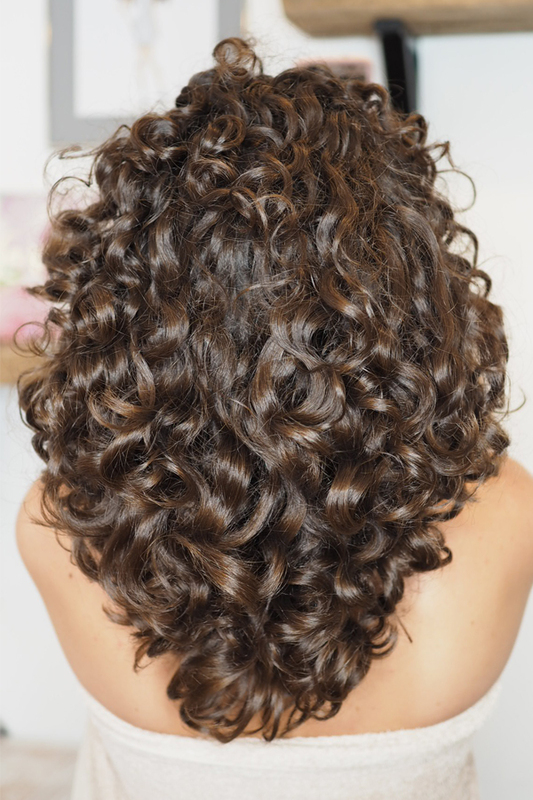 We can discuss your curls, products, techniques, routine, porosity, and trouble shoot any problems you’re experiencing. I’ll then give you my tips and advice, personal and specific to your hair. But wait, there’s more! I will then send you any products I recommend, from some of my favourite curly girl brands, if you don’t already have them! Whether you’ve followed me since the beginning, or you’ve just discovered me. 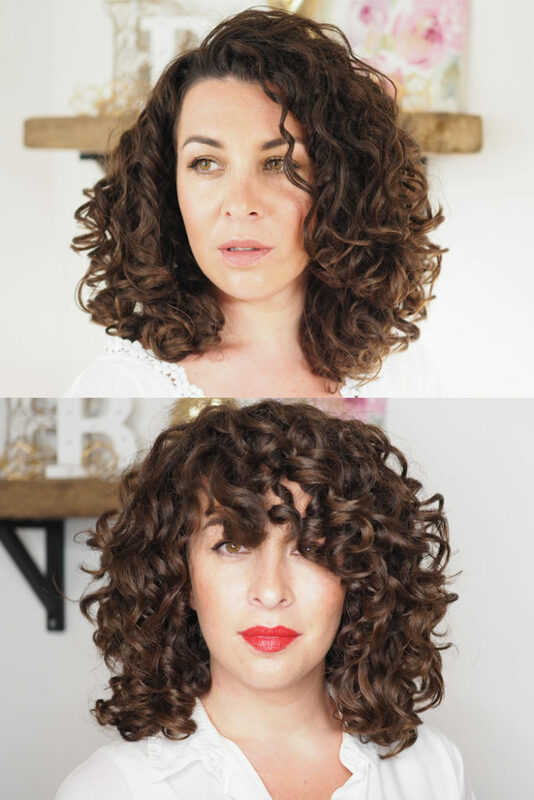 Whether you’re new to the curly girl method, or you’ve been following it for a while. This giveaway is open to everyone, from all over the world! Here’s what you need to do to be in with a chance to win, what I hope is an amazing prize to say thank you. Comment on my “Celebrating 1 Million Hits” post on Instagram with what you’re struggling most with, or would like my help or advice on. Tag a friend who you’d like to be the second winner in this giveaway. Each of you will get your own Skype/Facetime session, and my recommended products sent to each of you. In the fourteen months since I started Curly Cailín, here are some of the most popular blog posts, which have each had over 100,000 views! Let me know in the comments below which posts are your favourite, or have helped you the most. Let me know what other topics, techniques, products or brands you’d like me to write about next. 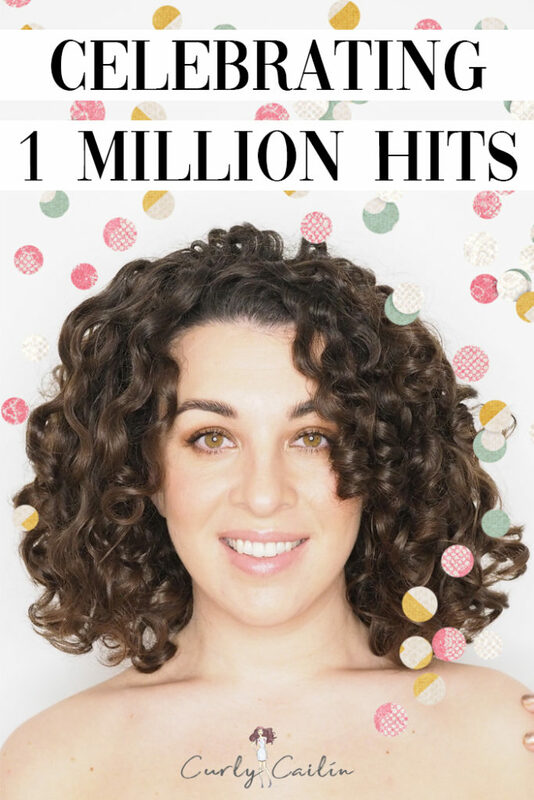 With over 120k hits, the most popular article on Curly Cailín is “How I get Root Volume in my Curly Hair.” In second place is my modified rice water rinse routine and results. This was a game changer in my journey and helped rescue my hair from Hygral Fatigue. In third place, My Favourite Products. This started off as a Black Friday post of deals and discounts of my favourite products. I’ve done a 2018 version of this post, to show the changes in the products I’ve come to grow and love. But this original post continues to get so many views, I’m just going to continually update it instead. Here’s some posts which may not be the most read, but are really helpful, and definitely worth checking out. 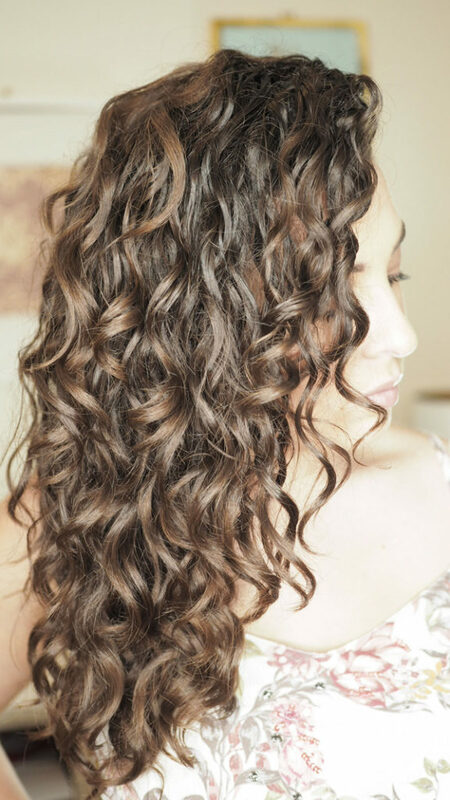 My post on Hair Porosity, the ways you can test it, the characteristics of each type, and the kind of products and techniques that best suit each porosity type. 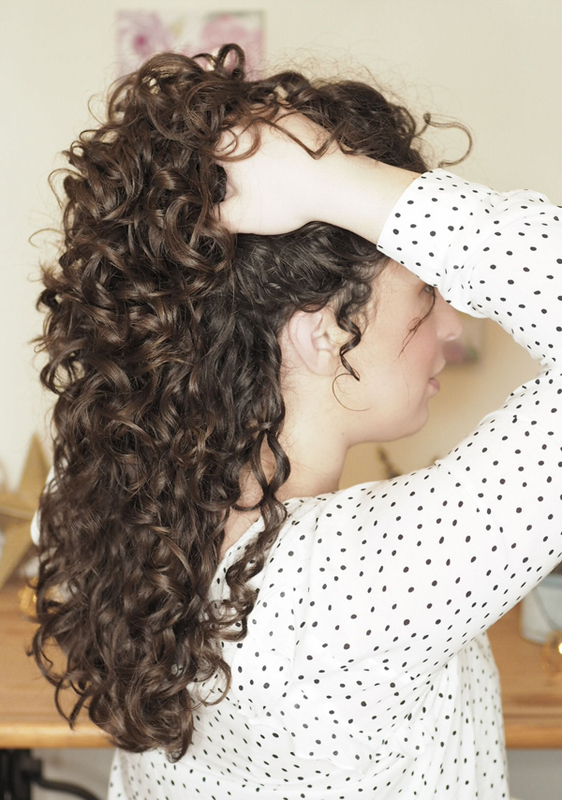 How to Beat Halo Frizz, is a great post for any kind of frizz. With tips, tricks and techniques that often have nothing to do with the products you’re using. But when, where and how you’re using them, and your wash routine. This post all about clarifying, which is something I’ve found to be hugely beneficial for my hair. If you’ve got a problem and you’re trying to figure out what’s going on with your hair. Start off by clarfiying, as that will often be the solution. This post explains the different types, and what clarifying products to use, when and how often. Glycerin 101 was another game changing post for me, figuring out this tricky ingredient has led to much more predictable, successful wash days; in any climate, environment and weather. And finally, Protein Moisture Balance. 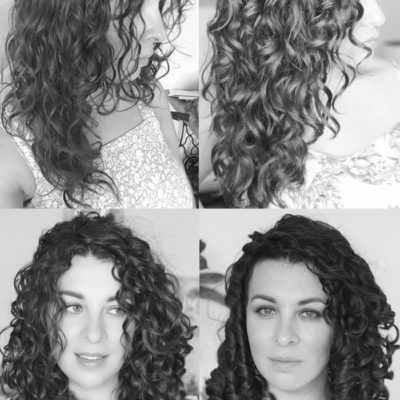 A huge struggle with lots of people following the Curly Girl Method. Whether you’ve been doing it for a few weeks, or a few years. How to find out if you’ve got too much moisture, or too much protein, and how to re-balance your hair from overload of each. Yay!! Congrats! 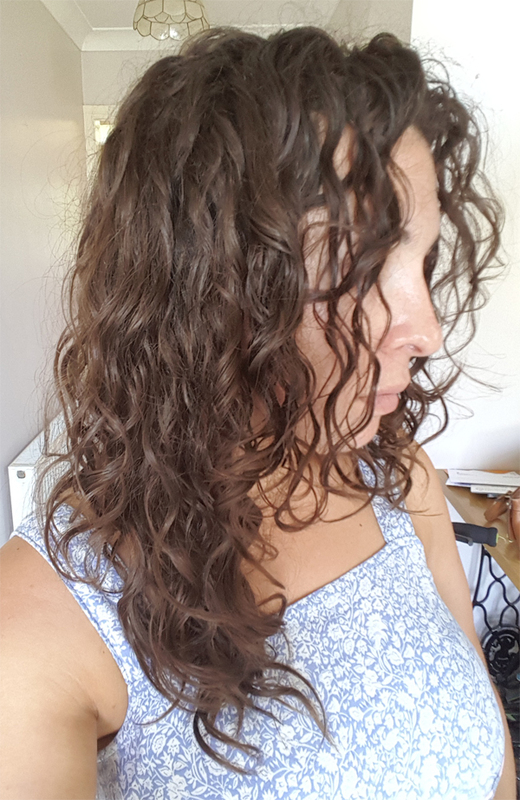 Your blog by far has been the most helpful to me on my curly girl journey! I have read every article and all are well articulated and educational. The most helpful is definitely your “modified rice water rinse”. I always get wonderful results from it. Also loved “Glycerin 101”. I have taken something helpful away from every article you’ve done! Awesome giveaway!!! So many times on this journey I’ve wished I had someone like you to be able to pick your brain with my problems, so fingers crossed! Aww thank you so much Jan!!!! I can’t THANK YOU enough for all the amazing information! 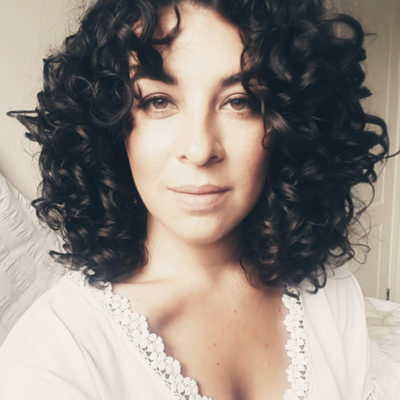 I started my curly hair journey December 15, and have struggling terribly until I recently discovered you on Instagram! Today actually is my FIRST day I like my hair! I have read so many of your articles and post…. the one on protein/moisture balance was an absolute game changer for me!!! !